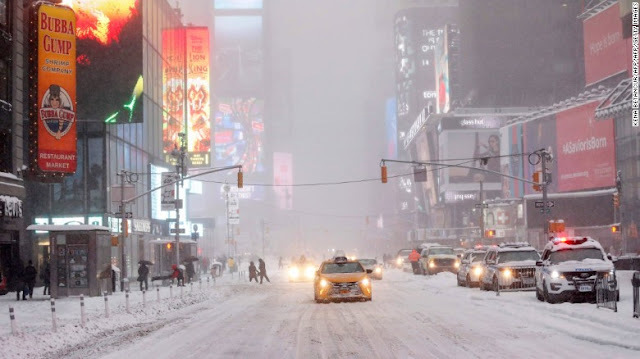 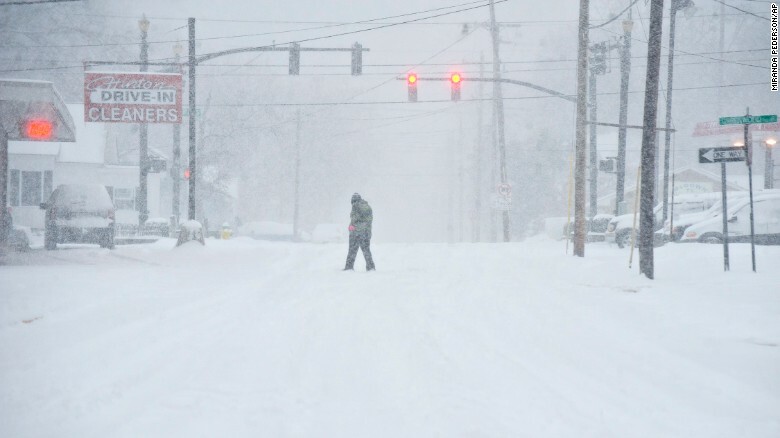 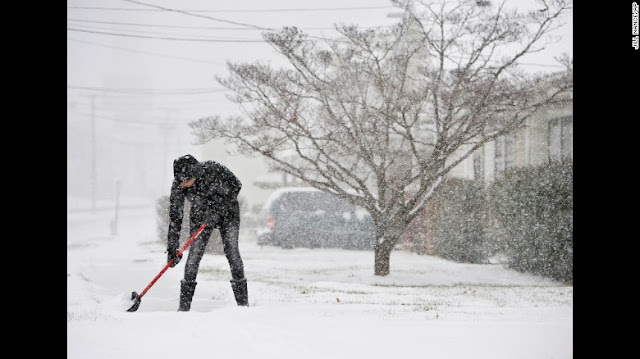 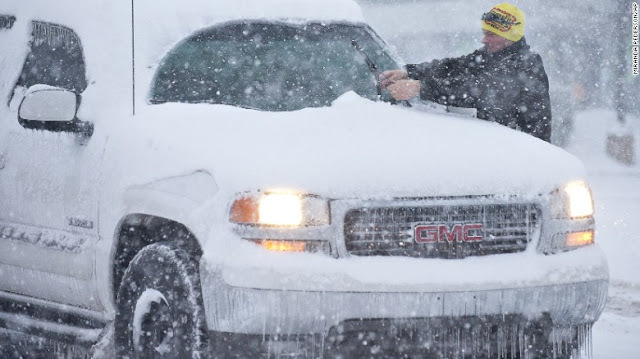 (CNN) A massive winter storm clobbered the eastern United States on Saturday and in some places appeared poised to dump more snow than expected -- including up to 30 inches in downstate New York and up to 4 feet in Maryland and West Virginia, officials and forecasters said. 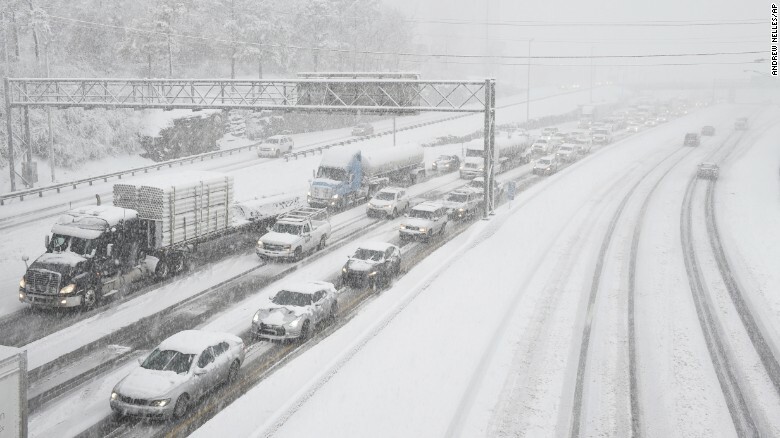 With snow falling as fast as 3 inches an hour, New York officials said road travel in New York City and Long Island would be banned starting at 2:30 p.m. ET. Above-ground train service in the area would stop at 4 p.m.
"This is bad, and it's getting worse rapidly," New York City Mayor Bill de Blasio said.